Occasionally, I share some of the work that my team at 8BIT has been working on. 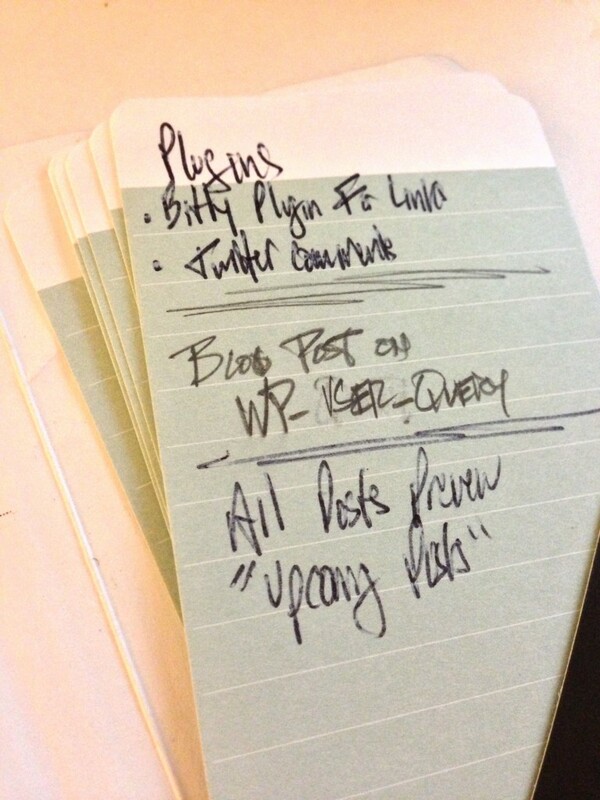 Up until recently, we were focused heavily on Standard for both self-hosted blogs and for WordPress.com. The thing is, we’re not trying to be another theme shop. 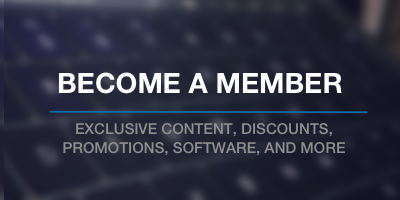 In fact, our ultimate goal is to try to make the best products possible for people who consider themselves to be or who are aspiring to be digital publishers. This may include developers and designers, but more often than not, this includes people who care about sharing their thoughts, opinions, views, and general words about any given topic. And we want to empower them. The challenge, though, is that we don’t always have our digital devices with us, but for anyone who has blogged for a significant amount of time realizes that inspiration or ideas can hit at any time. To that end, we saw a need to help others take blogging notes. 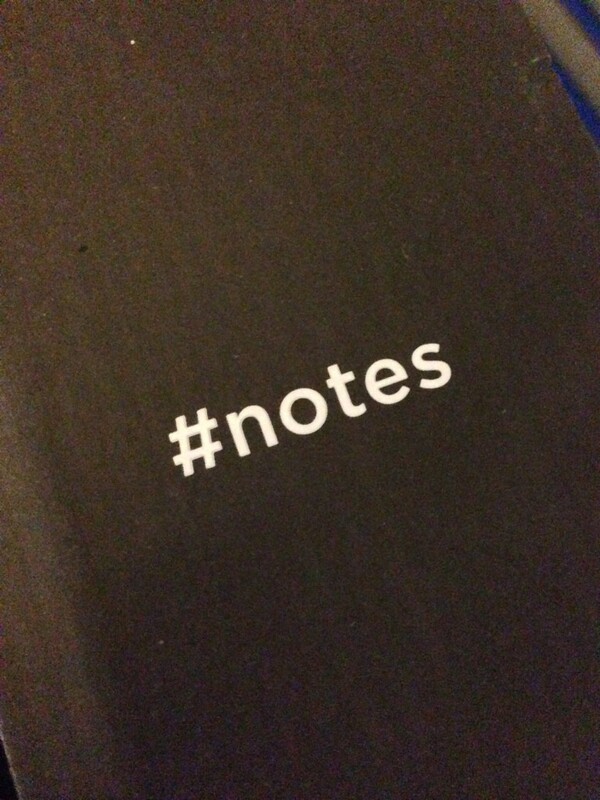 Friday, we officially announced, released, and began shipping #notes. 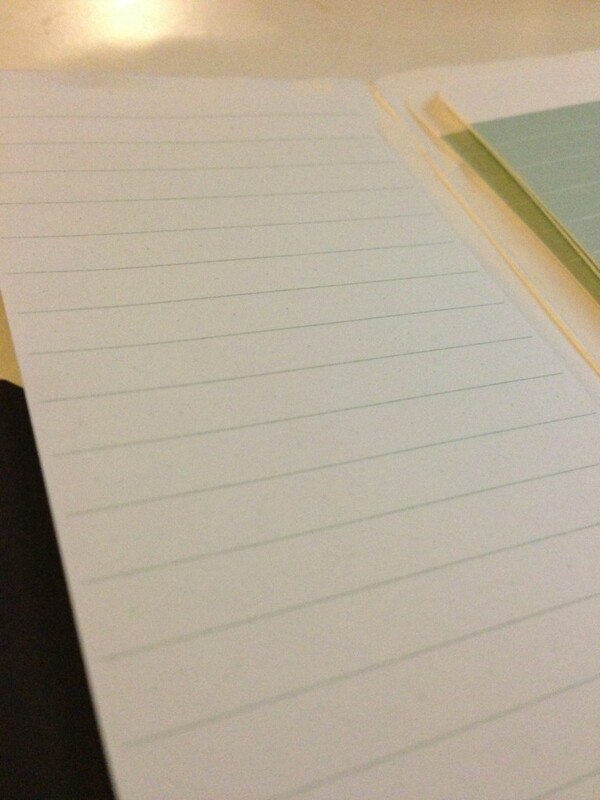 A simple, clean design for the folder that holds the #notes cards. The product itself is to serve a single purpose: to help us – and other bloggers – capture blogging notes. We spent several months planning, designing, and even prototyping exactly what it was that we wanted to ship and we’re quite proud of the end result. 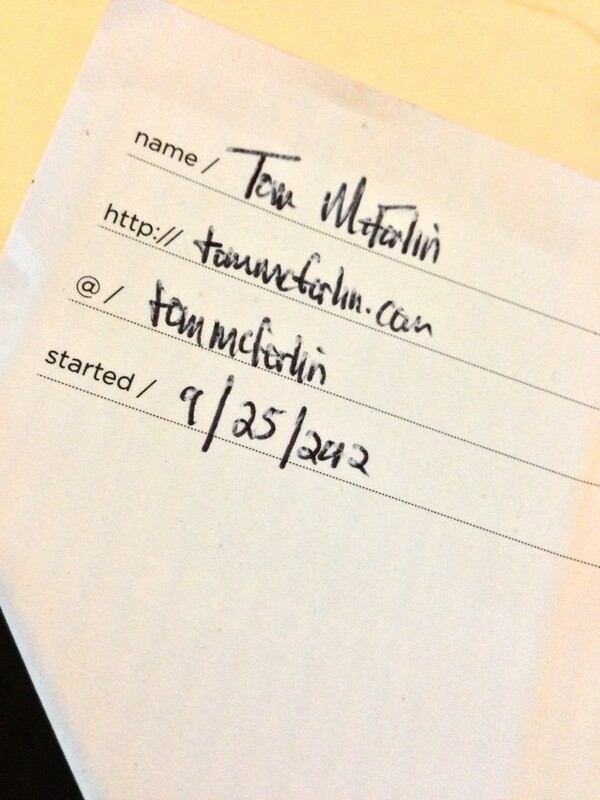 Customize your #notes with your name, URL, Twitter handle, and the start date. Next, we turned our attention to what the cards look like. Because each member of the team blogs in some form of fashion and a number of our closest friends and family do as well, we were able to get an idea how different people capture blogging information. We took all of that into account when designing these cards. For others who draft longer notes using sentences or even sketches. We also wanted customers to be able to have something on hand to use as a type of clipboard or hard surface on which to write on if they weren’t near a desk or were on the go, so we specifically designed the cares to fit snugly on the face of a mobile phone. 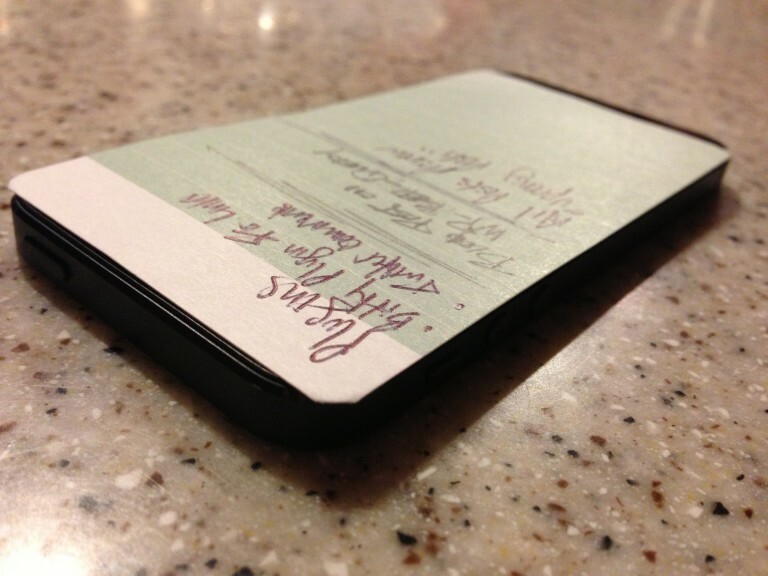 Though, during design, we targeted the iPhone 4 / iPhone 4s, it works fine with a variety of Androids, too. During our initial testing, it was really interesting to see how many people naturally pulled out their phone and used it as a hard surface on which to bare down on for capturing their blogging notes. 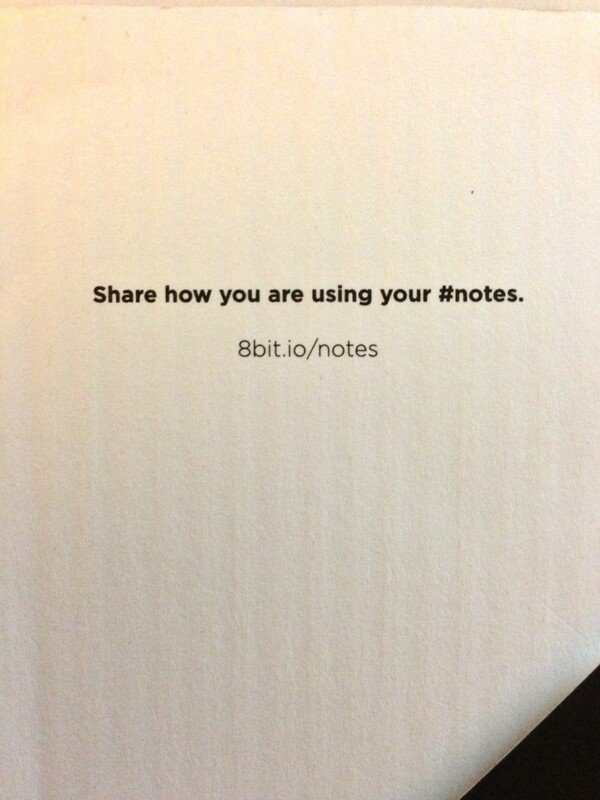 On top of the that, the team has seen others use the folders to capture business cards or even to jot down contact information on #notes and hand them out at various speaking events – though their primary use is for blogging notes, seing how people use our analog product has been a lot of fun. The whole purpose behind this is to help bloggers blog better. We use a ton of digital products in our day-to-day lives, but we continue to be fans of analog products so we sought to create a product that’d help a digital end result begin as inspiration on analog. To that end, we’ve officially opened a full shop full of #notes, refills, and a few other things. Woo hoo! Now… on to the next tool to help online publishers ROCK! No stopping us now!